during February for the Great British Budget Campaign. and me to start budgeting! A recent study has shown that two thirds of people in the UK fail to budget. your money goes more further. are further ways to make our money last longer. I mean do we really need to go to the supermarket every evening? Do we really need that magazine or that bar of Chocolate? next week to enjoy budget celebrations. 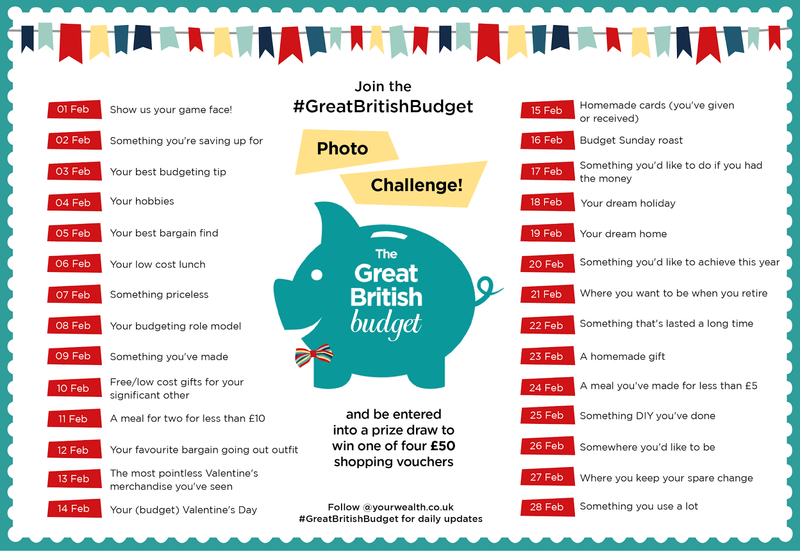 You can even join in with the twitter photo challenge (see below) which gives you a chance to win £50 high street vouchers. Hi Joanna, it's great to have you on board? How are you finding the challenge so far?